The companion to the bestseller Back to Basics for country, urban, and suburban folks—now fully updated! Who doesn’t want to shrink their carbon footprint, save money, and eat homegrown food whenever possible? Even readers who are very much on the grid will embrace this large, fully illustrated guide on the basics of living the good, clean life. It’s written with country lovers in mind—even those who currently live in the city. Whether you live in the city, the suburbs, or even the wilderness, there is plenty you can do to improve your life from a green perspective. Got sunlight? Start container gardening. With a few plants, fresh tomato sauce is a real option with your own homegrown fresh tomatoes. Reduce electricity use by eating dinner by candlelight (using homemade candles, of course). Learn to use rainwater to augment water supplies. Make your own soap and hand lotion. Consider keeping chickens for the eggs. 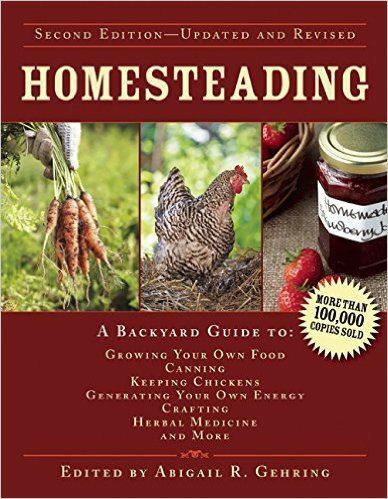 From what to eat to supporting sustainable restaurants to avoiding dry cleaning, this book offers information on anything a homesteader needs—and more.